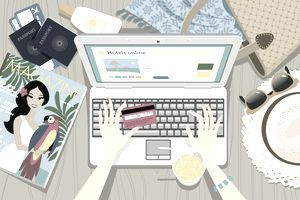 If you’re angling to save money on travel and like to shop and explore options online, hotel booking sites are an obvious choice. Most will let you compare hotels based on pricing and other factors, and some even let you compare pricing across more than one website around the web. Expedia, and its sister company Travelocity for that matter, make it easy to search for hotels and compare prices for any destination around the globe. Their search function is easy to use, and you can filter out properties based on factors like local landmarks, free breakfast, number of stars, and amenities. Expedia even offers its own rewards program (Expedia + Rewards) that lets you earn discounts off future travel when you book hotels, airfares, and rental cars. Hotels.com is another website to use if you’re looking for ways to save on lodging nearly anywhere. You can book hotel deals or vacation packages, and you can filter your search based on amenities and whether a property offers free parking or internet service. Hotels.com also offers a rewards program that lets you earn a free night for every ten nights you book through the website or app. Hotel Tonight works differently than other hotel booking sites because it mostly focuses on last-minute bookings or hotels “for tonight.” You’ll need to download the app to use this service, but you’ll be glad you did. When hotels end up with unsold rooms, they offload them to websites like Hotel Tonight at bargain basement prices. This means you can make a last-minute booking and get an incredible deal instead of being gouged for not planning ahead. Booking.com may be more popular overseas than in the United States, but it’s still incredibly valuable when it comes to finding lower-cost hotel deals around the globe. This website lets you book more than one million properties worldwide, and they can also connect you with homes and apartments for rent. Booking.com doesn’t have a rewards program, but it does have a refer-a-friend program that lets you earn cash rewards when you refer friends who book and complete a stay with the website. It also has a “secret deals” newsletter that can alert you when special deals crop up around the globe. Trivago.com is unique because it’s a travel aggregator—as in, it aggregates prices from multiple travel booking websites so you can compare them in one place. This can be super helpful if you’re short on time and don’t want to scour the web for the best deals. In addition to comparing prices across several websites, Trivago also alerts you to “hot” deals and steep discounts, or hotels offering special amenities like free breakfast or room upgrades. Should You Use a Hotel Booking Site or Not? It makes sense to use a hotel booking site if your goal is getting the best deal or you merely want to shop around. However, there are a few times it makes more sense to book hotels directly with hotel brand websites. If you have status with a hotel chain, for example, it can be smart to book direct to get access to special perks like lounge access and upgrades. You’ll also earn hotel points when you book directly with a property with its own loyalty program, whereas you normally do not earn rewards when you book hotels with a discount booking site. Then again, since some hotel booking sites have their own rewards programs, you could always pool your loyalty there and go for the lowest price instead of hotel status. Finally, it almost always makes sense to book direct with a hotel if you carry their co-branded credit card since you earn a lot more points for doing so with most programs. At the end of the day, hotel booking sites are valuable tools that can help you save money on hotels or shop around to find the best deal. So, find one or two you like and use them to plan a weekend away or your dream vacation. The money and time you’ll save will make the deal you end up with even better.